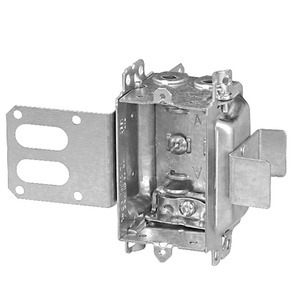 Steel stud device box gangable 3 inches x 2 inches x 2 inches 12 cubic inches Wraparound bracket for 1-5/8 inches steel studs. With integral support braket. For armoured cable or nonmetallic sheathed cable.